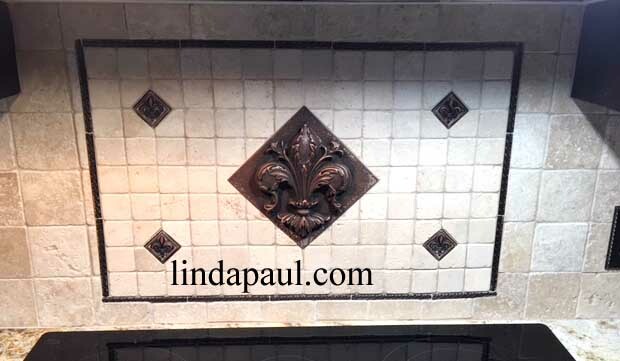 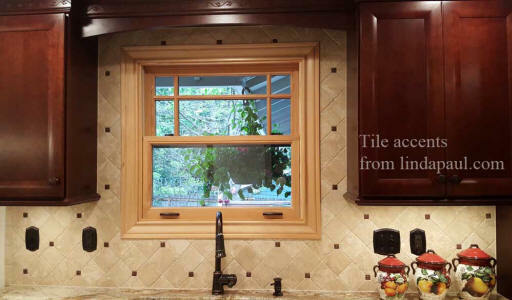 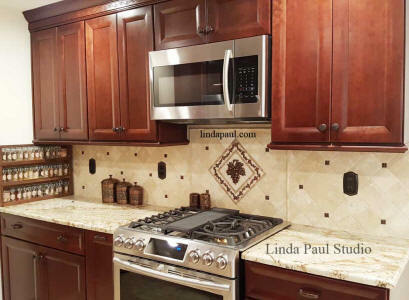 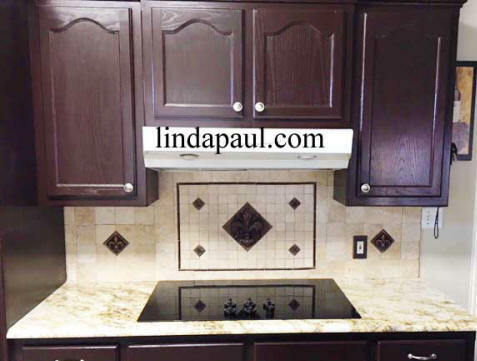 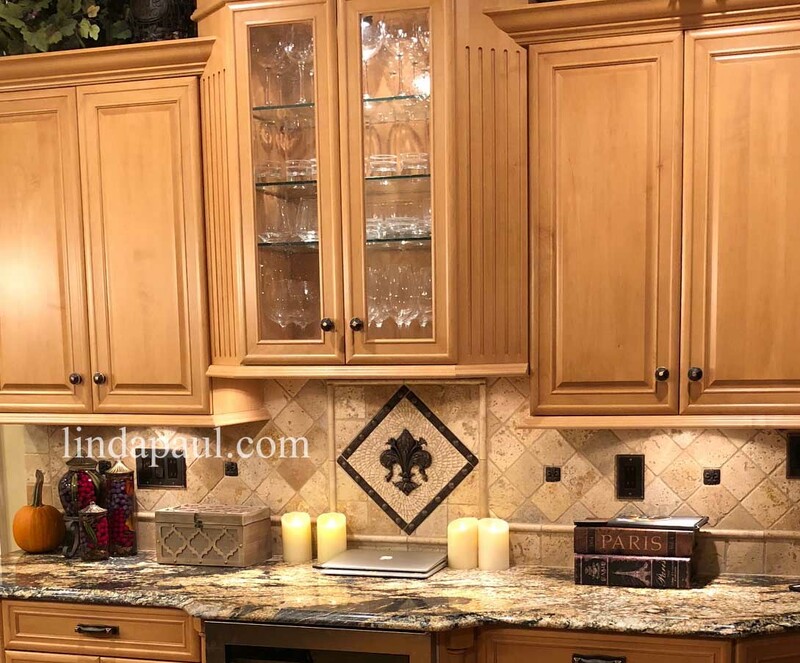 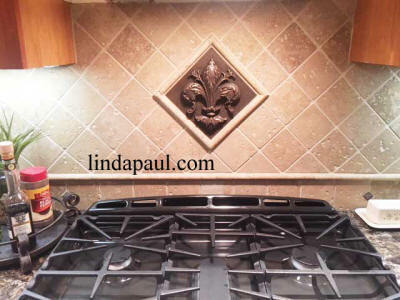 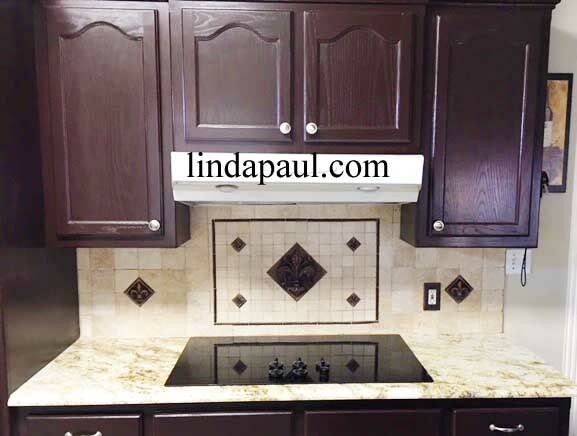 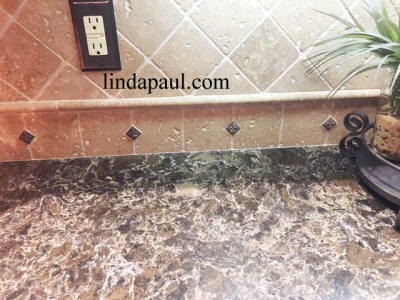 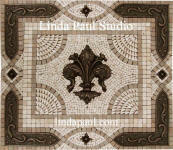 Fleur de lis mosaic tile and metal kitchen backsplash medallion. 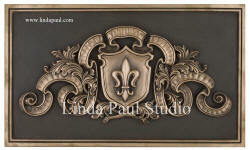 Comes in many different metal finishes and stone colors. 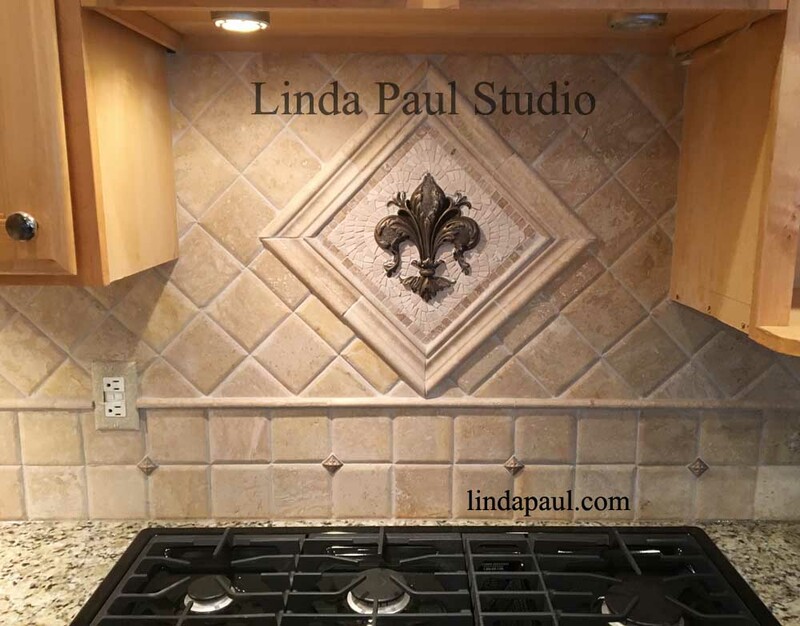 The relief and 3-d effect on these tiles is amazing. 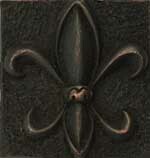 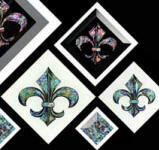 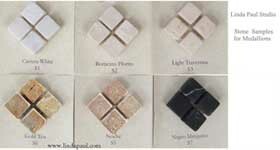 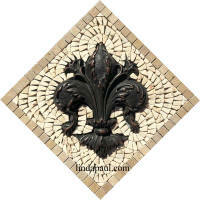 Can be used indoors or outdoors or anywhere you need fleur de lys home decor. 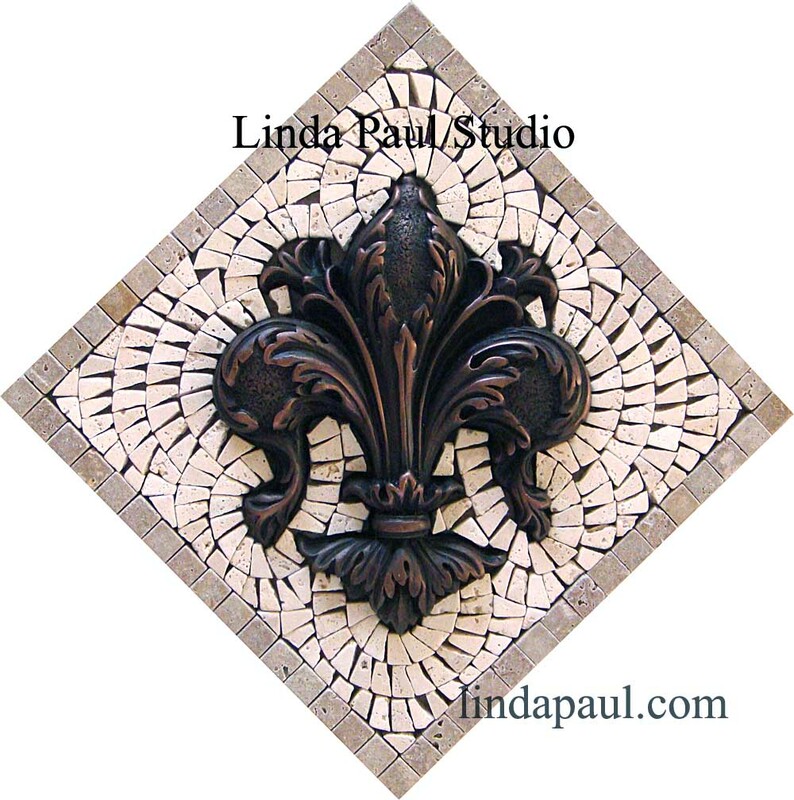 lis protrudes another 1" in relief. 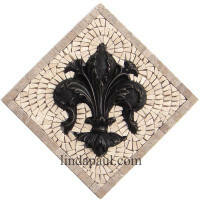 The center accent is high quality metal coated resin. 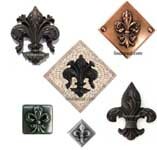 They are available in many different finishes (see bottom of page) including oil rubbed bronze, copper and stainless steel. 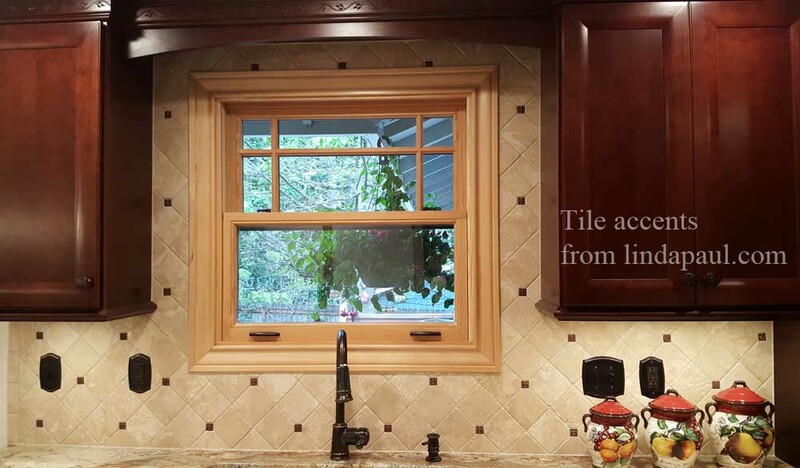 Itare lovingly hand-crafted in the USA. 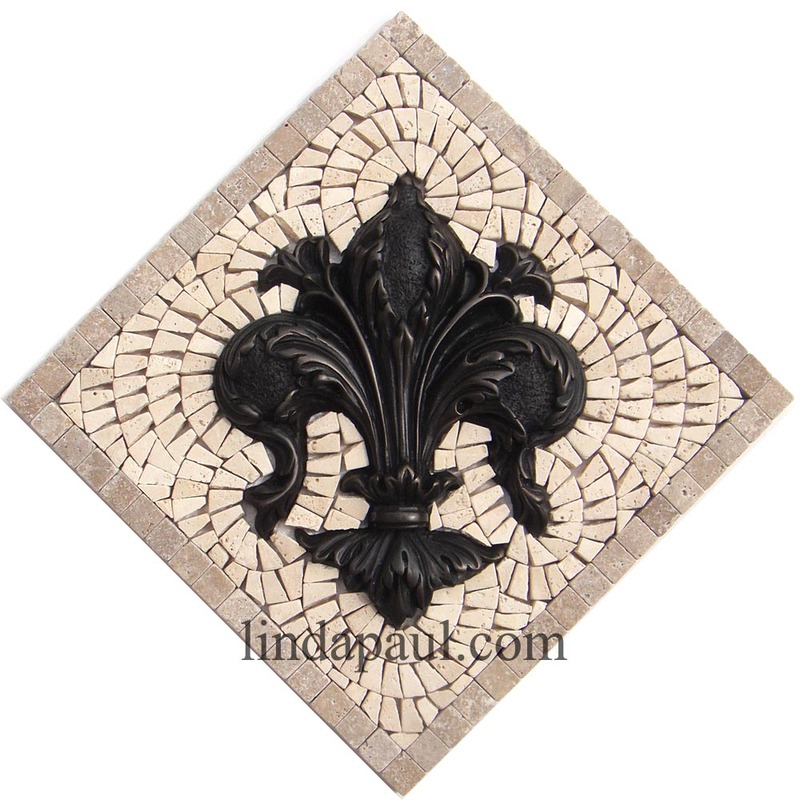 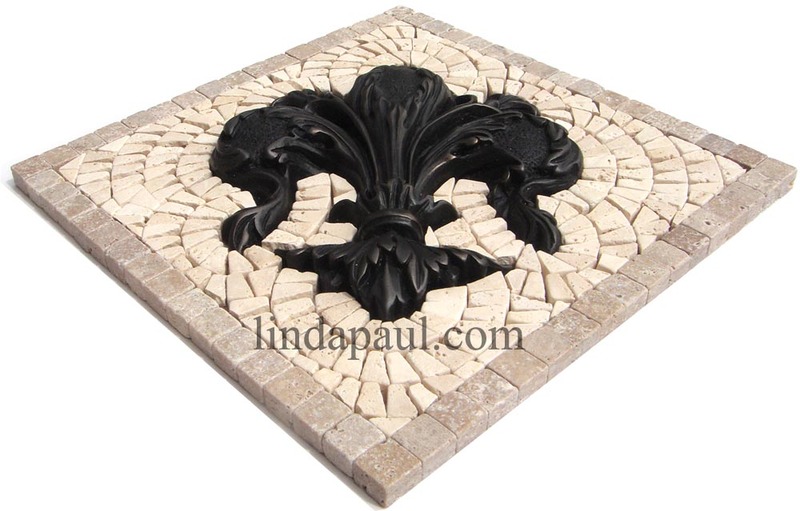 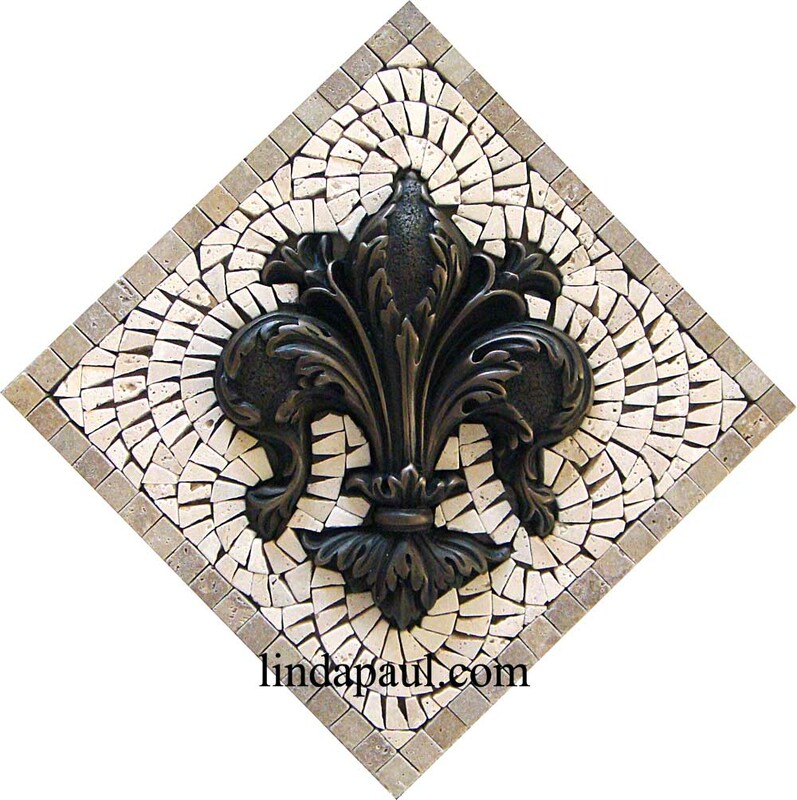 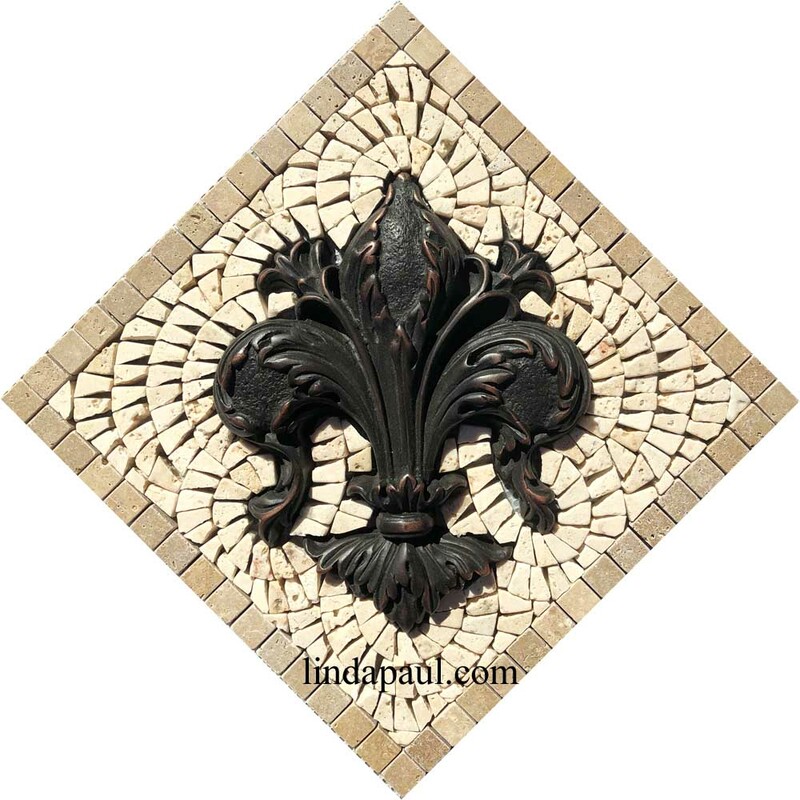 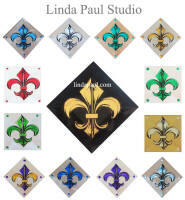 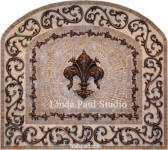 Fleur de Lis Tile Medallions Mosaic tile and metal 24" x 24" and 24" x 21" $ 1419.00.
leur de lis arched backsplash medallion tile mosaic and metal.